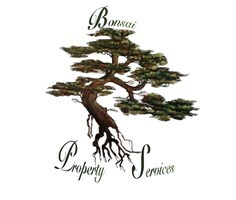 Bonsai Property Services understands that our work must be of the upmost quality. We are a well organised team with many years of experience thus helping us provide you with a service like no other attaining fantastic results. We take pride in providing our clients with a service that is unique, personal and professional. We believe that our clients deserve the maximum level of detail in our service; as such we strive on our customer satisfaction to be outstanding no matter the size of the project. Our expectations allow us to deliver this level of quality to all the projects we work on with our customers ensuring exceptional customer satisfaction. Our firm consists of a range of different factors which allow us to meet all our customers' needs. We also understand how costly some maintenance jobs may be, which is why we do not charge by the hour, unless the client prefers so. Rather we charge our customers only on the jobs that will be carried out. Our prices will also be inclusive of all labour and materials, resulting in no hidden charges or fees for our customers. Bonsai Property Services can cater to a range of requirements and trades, varying from small residential projects to large national services in maintenance and refurbishment of your properties. Our knowledge and capabilities extends to designs and installation of kitchens, bathrooms, conservatories with a personal touch and extrapolates all the way to complete home renovations and remodelling as the client sees fit. Our aim is to provide you with a product and service that is distinguishable from the rest and will leave you satisfied and fulfilled with the work carried out.